" Very flexible and helpful crew and management. At very good rate! Highly recommended. " " Overall - a good service!! Thanks. " " Thank you very much for your assistance and it was really fast and quick service they came on time and packed everything and took it from my home, it was good experience from Qatar and I hope they will deliver my stuff safe and secure to Perth at my home. I have recommended your service to my other friends too. You guys are the best thanks for helping me out. " " The entire process of dismantling, packing, handling, moving and reassembling was Excellent. Hats off to the guys who really did the job. The customer handling by the administration staff was excellent as well. " " Excellent.. That was quick. Thanks for referring 2 professional movers & packers. 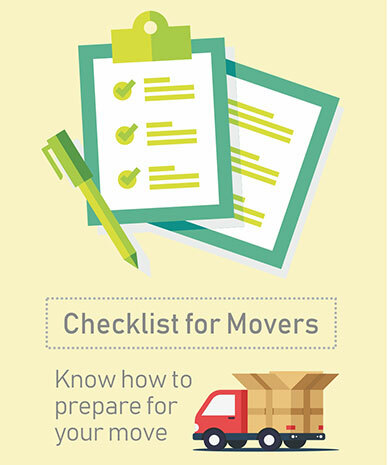 Two of my colleagues have used services of one recommended movers & packers. " " Everything went very well. Thank you. " " Your service was of great help. Had seen a few properties will finalize in a few days. " " Many thanks, it was a great service and help. " 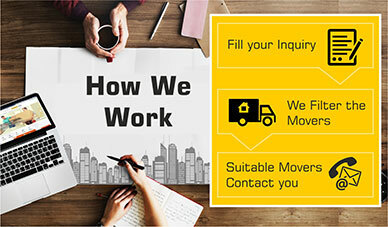 " I am satisfied with the service rendered by Movguru while shifting my belongings. I really appreciate Movguru Ltd. for their excellent services. " " This is one place that really helped me sort all my moving issues. With their help, I found the best relocation company and within my budget. " " I had to relocate my car and was struggling to find the right movers. But the professionals at Movguru helped me find the perfect mover. Great job guys! " " The entire team at Movguru are very humble and helpful. They knew exactly what I wanted and now my entire move is done perfectly without a glitch. Thanks Movguru! " " Who knew relocating to an international destination could be so easy? All thanks to the diligent team at Movguru. Would definitely refer them to everyone I know. " " The only thing that bothered me the most while relocating to my new home in Qatar was safety and comfort of my pet. Thankfully with the help of Movguru, I got connected to the best movers who set my worries aside. Thanks team Movguru! " " One of the prized possessions is my Nissan TEANA. I was very sceptical about getting my car relocated through someone I wasn’t sure of. But thanks to Movguru, I found the perfect relocation company who relocated my car without a single default. I would definitely recommend them for automobile relocation. " " Before I settled into my new home in Qatar, I had to halt my entire belongings in a safe storage that I could rely on. Since the country was new, I wasn’t sure who to choose. This is when I logged onto Movguru and they are the one who helped me find the best and reliable storage service. Thank You Movguru! " " I am very thankful to Movguru for helping me find the best relocation company within my budget who helped me with my domestic relocation. I had gone through many companies the price seemed very high. Movguru found the company that best suited my budget without any compromise in the standard of service. Once again… Thank You Movguru! " " I am really thankful to team Movguru as they have really taken the stress out of my life. The professional team of Movguru really helped me in finding the right packers and mover for my car. " " Relocating the entire household was really a stressful job until we found Movguru. The company has really helped us in finding the most trusted and experienced domestic relocation company, and that to within our budget. " " We never knew relocating to Canada can be so easy. All thanks to the services provided by team Movguru. They really helped us in finding the most appropriate international relocation company for our move. " " We were looking for a warehouse solution for our relocation and were not able to find the right one. As I logged onto Movguru, I knew I found help. They helped us connect to the best storage and warehousing service provider that did not just fit out requirement but also matched our budget. " " Moving home within the same country is stressful enough, but moving 1500 miles to another country is in a different league. But Movguru helped us by connecting us to the finest international relocation companies that assisted us in a hassle-free relocation. " " The whole process of pet relocation ran extremely smoothly and there was not a single moment when I had any concern about the job being done properly. All this became possible with the support of Movguru who recommended me top pet relocation companies as per the requirement. " " Throughout the automobile relocation process every crew member was attentive and helping us through the process and giving a sense of assurance. The credit of timely and safely relocation goes to Movguru who provided best automobile relocation companies at reasonable price. " " Just want to thank Movguru for the excellent service that I received. Movguru is the best archivist of relocation companies due to which my furniture and pet arrived at my place timely and safely. " " Thanks for referring 2 professional movers & packers. Two of my colleagues have used services of one of the recommended movers & packers. There were no complaints at all. " " Everything went very well.
" Effectively 4 companies contacted me provided me their quotes. I have chosen the most appropriate for the storage of my goods. They were very responsive to all my queries and found them very professional in handling the packaging and storing. Dealing with them was very friendly and I appreciate that. They offered all the support I wanted to my satisfaction. "